We've recently started using Bootstrap for some of the revisions being made to our platform. This is in an effort to bring responsiveness for a diverse set of devices. And we regret using it. We use Bootstrap a lot. Everything that you see on our marketing website or web servers, it's all built from Bootstrap. 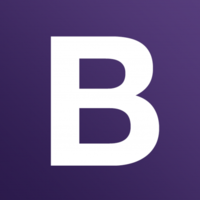 Frontend templates are built on bootstrap and the bootswatch sandstone template. We use a variant of Bootstrap called Flatstrap. We pick out the parts in Bootstrap that we need using SASS and some other tools, enabling us to customise the HTML markup we use, and keep our stylesheets skinny. HTML/CSS 를 프레임워크화 한 부트스트랩 덕에 내부 백엔드 시스템을 정말 쉽고 생산성 있게 구축할 수 있었습니다. It provides basic structure to all our html elements.